Lots of goodness going down this weekend, and it all starts tonight. Friday – Davidson at Duke. Call me crazy, but I like the Blue Devils. Friday – UNC vs. Baylor, in Gainesville. Second round NCAA action. If UNC wins, they’ll play Sunday against (probably) Florida. Friday – Georgia at Duke. Can’t wait for this. Duke will host games through the quarterfinals if they keep winning. Like UNC, they’ll play again at 1pm Sunday if they win, against the winner of Ohio State and UW-Milwaukee. Sunday – Duke vs. New Mexico. The Devils won their first round NCAA match against Georgia State, and will now travel to Albuquerque to try to continue the run. Sunday – UNC vs. Coastal Carolina. UNC had a first-round bye, and will host a second round game at Fetzer. Hopefully it doesn’t rain; Coastal Carolina is from the ocean, and they love playing on water. Friday – UNC vs. Connecticut, 2pm. It’s the Final Four! If UNC wins, they’ll face Old Dominion or Maryland in the championship Sunday at noon. They’ve beaten both already this season, though ODU handed the Heels their only loss early on. UNC has faced Maryland in the championship the past two season, with a win in 2009 and a loss in 2010. If you have any inclination, you can watch this one live on NCAA.com. Back this afternoon with the Triangle Prophets. Enjoy your weekend. 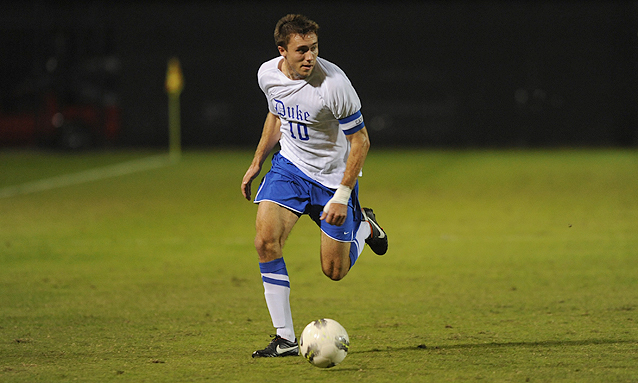 The ACC announced today the winners of the 2011 individual and All-Conference awards. The Tar Heels and the Blue Devils swept the individual awards and were both heavily represented on the All-Conference teams. UNC led all teams with 8 players receiving recognition (4 First team, 1 Second team, 3 Freshman team). Maryland was second with 6 players and Duke followed up with 5.